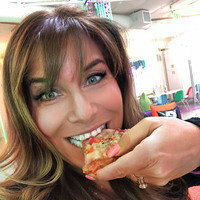 “The Pizza Episode” of the Hungry Girl Podcast Is Here! 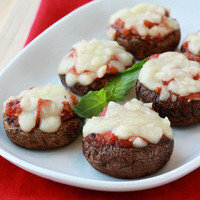 * Alternative pizza crusts... beyond the ones in this email! Recipe time! If you’re like us, you LOVE pizza but could do without all the starchy carbs and sky-high calorie counts. These veggie-crust pizza recipes are some of our favorites... and each one has under 300 calories! 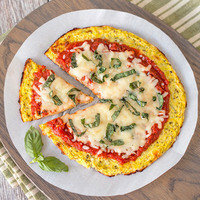 Cauliflower-crust pizza is all the rage (more on that below), but you haven’t LIVED until you’ve wrapped your face around a squash-crust pizza. 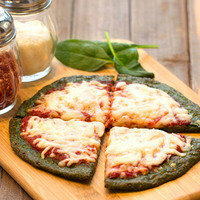 The texture is perfection, and the method is even simpler than making cauliflower crust. (No food processor needed.) This one’s topped with fresh basil, but mix things up with your go-to toppings! Only FOUR main ingredients in this 15-minute pizza fix. One of those ingredients is light string cheese: It’s the perfect way to get portion-controlled cheese shreds. 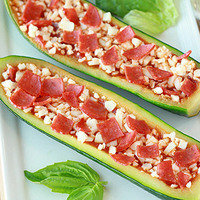 And with such a low calorie count, feel free to make a double batch and eat it all... We won’t judge! 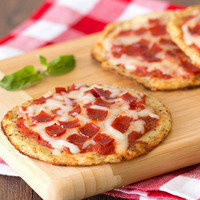 Last but not least, we present to you these insanely adorable cauliflower-crust pizzas. Cauliflower-crust batter can be a little tricky to work with, but with these minis, it’s super easy to form the crusts. If you don’t feel like chopping up a ton of cauliflower, just pick up a bag of fresh or frozen cauliflower rice... such a great timesaver! These veggie-crust pizzas are too good NOT to share... Click “Send to a Friend” or forward them ASAP!